With the combined effects of inflation, rising healthcare costs, and increasing number of illnesses and diseases, having a health insurance policy is the only way to save one’s hard-earned money in the event of a medical emergency or unplanned hospitalisation. Health insurance plans offer policyholders a comprehensive cover against the expenses that one might have to incur when seeking treatment at a hospital. Thus, it is recommended that you purchase a health insurance policy at the earliest to avoid having to shell out precious money in the event of an unfortunate eventuality. And in order to help you find the perfect health insurance policy that exactly matches your needs, we have compiled a list of top 10 health insurance plans that are available in the country. The Easy Health Plan from Apollo Munich comes in 3 variants – Standard, Exclusive, and Premium. This plan offers you a comprehensive cover against unplanned medical expenses. The insurer offers this plan on an individual sum insured basis. This plan offers a cover against expenses incurred as a result of in-patient hospitalisation, pre-and post-hospitalisation, day care procedures, domiciliary treatment, etc. Cumulative bonus can be accumulated up to 100%. Cashless hospitalisation can be availed at any network hospital across the country. Add-ons such as the Additional Cover for Critical Illness and Additional Cover for Critical Advantage Rider are offered by the insurer. Tax benefits can be claimed under Section 80D of the Income Tax Act, 1961.  The Complete Health Insurance Plan from ICICI Lombard comes in 5 variants – Health Protect, Health Protect Plus, Health Smart, Health Smart Plus, and I Health. Each plan variant offers different features and benefits, thus enabling the policy buyer to opt for a plan that matches his/her exact needs. The insurer offers lifetime policy renewability feature. Up to 100% of the sum insured can be reset if it is exhausted. Hassle-free and on-time claim settlement. Hospitalisation expenses, pre-and post-hospitalisation expenses, day-care expenses, etc. are covered under this plan. The plan can be purchased on a floater basis to extend the coverage to the proposer’s spouse, parents, dependent children, and dependent siblings. Tax benefits can be availed under the prevailing Income Tax laws. The Health Care Plan from Religare Health Insurance provides the policyholder and his/her family a comprehensive risk cover against financial troubles that may arise due to a medical emergency. The insurer offers 5 plan variants of the Religare Health Care Plan. Insurer offers a risk cover against expenses incurred as a result of in-patient hospitalisation, pre- and post-hospitalisation, domiciliary hospitalisation, room rent charges, etc. The plan can be purchased on an individual or family floater basis. Insurer offers no-claim bonus and long-term policy discounts. If the sum insured is exhausted, insurer automatically recharges the sum insured amount. There is no maximum age at entry under this plan. The Bajaj Allianz Health Guard Plan offers policyholders coverage against hospitalisation expenses, ambulance charges, treatment charges, consultations, and pre- and post-hospitalisation expenses. Policy buyers can opt for a sum insured between Rs.1.5 lakh and Rs.50 lakh. Cashless treatment can be availed at over 5,700 network hospitals across the country. Policy buyers can choose to extend the policy coverage to their parents, parents-in-law, grandparents, grandchildren, and dependent siblings. Reinstatement of sum insured is offered. Insurer offers lifelong policy renewability feature. The Senior Citizen Red Carpet Health Insurance Policy offered by Star Health is a policy that is exclusively catered to senior citizens, between the ages of 60 and 75 years. This plan is offered on an individual sum insured basis and offers a cover against hospitalisation expenses, which includes room rent charges, cost of medicines, specialist fees, etc. Policy buyers are not required to undergo a pre-policy medical screening before purchasing this policy. Pre-existing medical conditions are covered from the second policy year onwards. Out-patient consultations in network hospitals are covered. This policy can be renewed for the policyholder’s lifetime. Cashless treatment can be availed at over 8,200 network hospitals across India. The policy can be purchased through the insurer’s website and the insurer offers a 5% discount for online policy purchase. The Heartbeat Family First Health Insurance Plan offers a comprehensive health cover for up to a total of 19 family members. The policy is offered on an individual sum insured basis for every enrolled member and also on a floater basis, which will be accessible by every member. The policy comes in three variants – Silver, Gold, and Platinum. Policy offers a cover against in-patient and pre- and post-hospitalisation expenses, alternative treatments, day care treatments, maternity expenses, organ transplant, etc. Insurer offers 1 and 2 year policy tenure options. Insurer offers lifetime policy renewability feature. Tax benefits under Section 80D of the Income Tax Act, 1961 can be availed, by the policyholder. Cashless facility is offered at all empanelled hospitals. The Smart Health Insurance Policy from Bharti AXA offers policyholders a cover against hospitalisation expenses, day-care treatments, AYUSH treatments, pre- and post-hospitalisation expenses, domiciliary expenses, etc., up to the limits specified in the policy. The plan comes with an in-built cover against critical illnesses. Insurer offers renewal discounts ranging from 5% to 25% for every claim-free year. Specific illnesses and pre-existing diseases will be covered after 24 months and 48 months, respectively. Policy buyers can choose a sum insured of Rs.3 lakh, Rs.4 lakh, or Rs.5 lakh. Cashless hospitalisation can be availed at any one of the 4,500 plus network hospitals in the city. Tax benefits can be availed. The Optima Restore Individual Plan from Apollo Munich is a health insurance policy that in addition to providing a comprehensive health cover also provides a ‘Restore benefit’, by which the policyholder’s sum insured amount will be automatically restored if it is exhausted within a given policy year. This policy can be taken on an individual sum insured basis, but the coverage can be extended to one’s family members. Cover can be extended to include one’s spouse, dependent children, and parents/parents-in-law. Insurer offers a discount of 7.5% if the policy is purchased for a 2-year tenure. The policy provides a cover against expenses incurred due to hospitalisation, pre- and post-hospitalisation, day-care procedures, domiciliary treatments, ambulance charges, etc. The sum insured can be enhanced at the time of renewing the policy. The Happy Family Floater Policy from Oriental Insurance can be purchased to provide a health insurance cover on a single sum insured basis to one’s family, including one’s spouse, dependent children, parents, and parents-in-law. The plan comes in 3 variants – Silver, Gold, and Diamond. Insurer offers lifelong renewability feature to policyholders. Insurer offers a 5% discount on the premium if the policy is purchased online. While the maximum age at entry is capped at 65 years, it can be relaxed to 70 years on a special case-by-case basis. Insurer offers a Personal Accident cover as an add-on optional cover. The policy also covers maternity expenses and new-born baby expenses. Premiums for this policy start from Rs.750. The insurer offers a range of discounts and bonuses, such as a Family Cover Discount, Loyalty Discount, Good Health Discount, Cumulative bonus, etc. Income tax benefits can be claimed under Section 80D of the Income Tax Act, 1961. Pre-existing diseases are covered after 4 consecutive policy years.